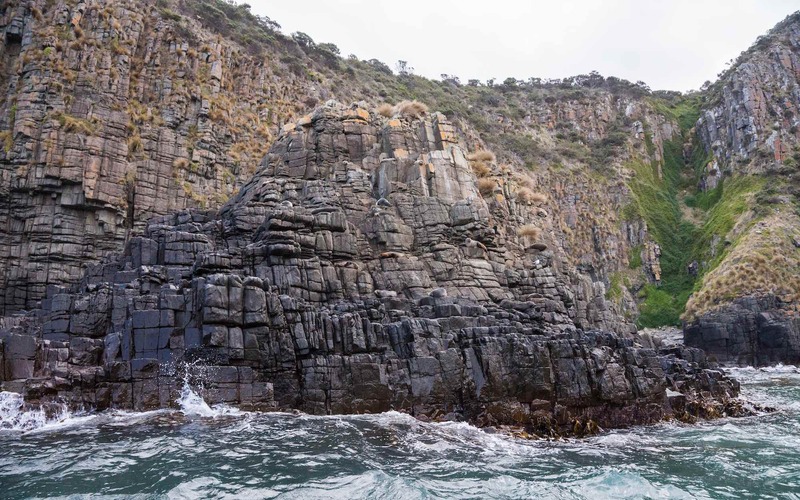 Along with beautiful beaches and a laid-back atmosphere, Bruny Island offers visitors the chance to take an unforgettable boat ride down the coast of the island to its southern tip. 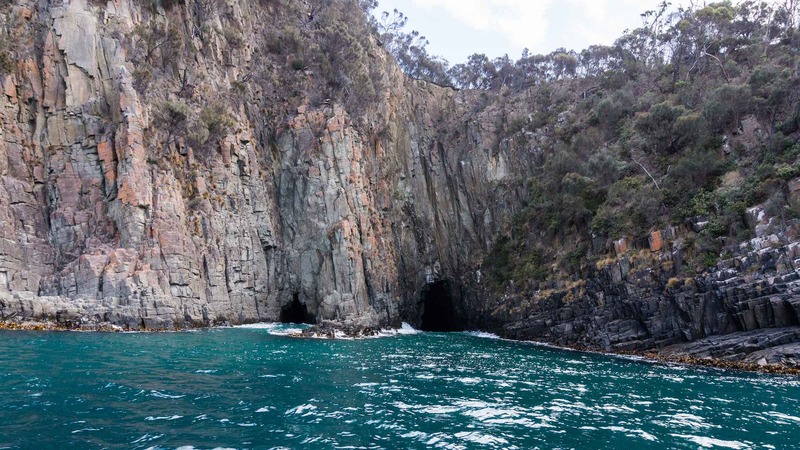 Twice a day Bruny Island Cruises craft sets off with thirty or so passengers on a two-to-three-hour adventure. 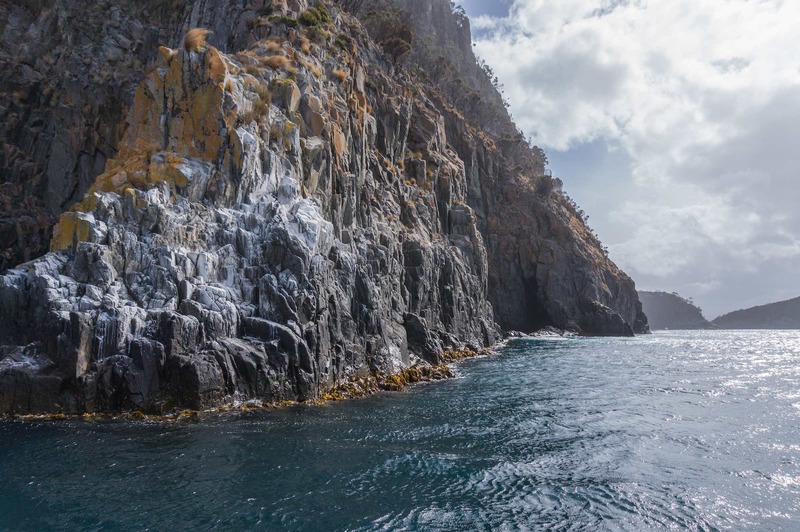 The cruise regularly makes it into lists of Australia’s top tourist experiences. This YouTube video gives an excellent idea of the trip; just remember that you’ll be in that boat and not in the airplane used to film many of the stunning aerial views! 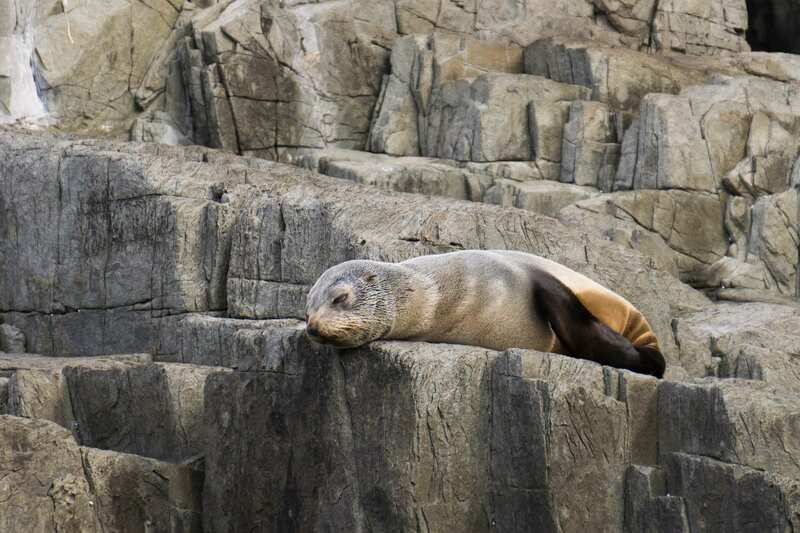 Leaving Adventure Bay at 11:15 a.m. or at 2:15 in the afternoon, the boats travel about thirty kilometers down to the Friars, a collection of islands and rocky outcrops and the home of a number of fur seal colonies, before turning back for Adventure Bay. Here is a promotional photo of one of the company’s boats. Note the red rain gear – it is supplied by the crew after you board the vessel; wool caps and gloves are loaned out at the welcome center at no extra cost. Given the strong wind blowing from the south and the choppy water that day, I would make use of them all for the extra warmth and water protection they provided. 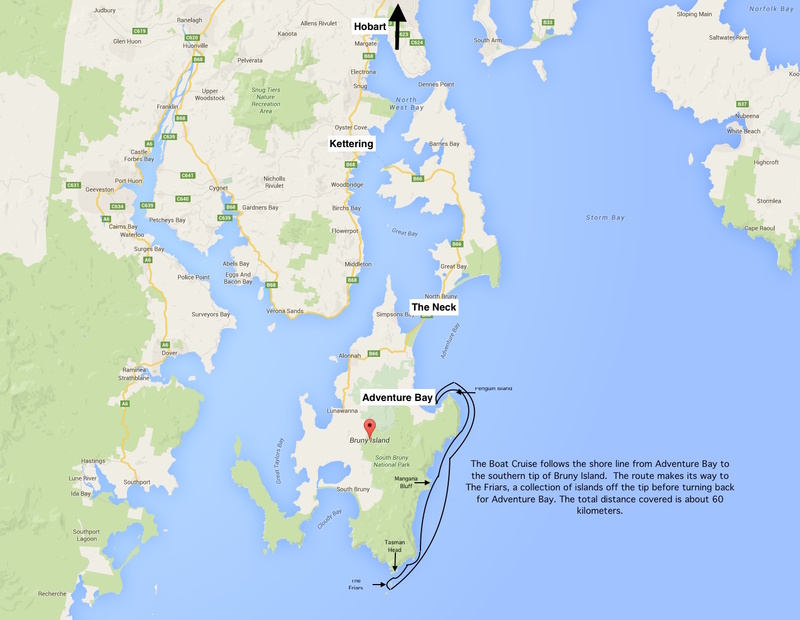 The boat left Adventure Bay and rounded the point around the outside of Penguin Island and made its way down along the coast. 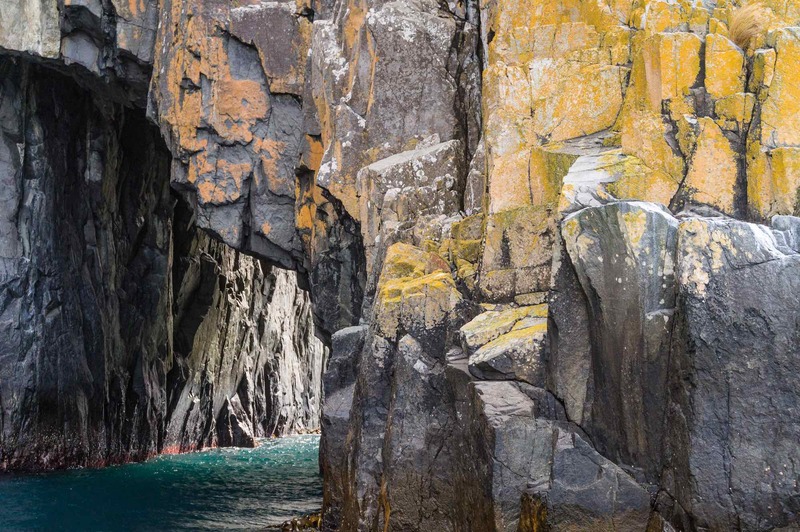 One of the main attractions of the trip is the dramatic cliff face – sometimes vertical columns of dolerite stretching up for one hundred meters , sometimes caves and holes and passages created by the incessant pounding of the waves over time. 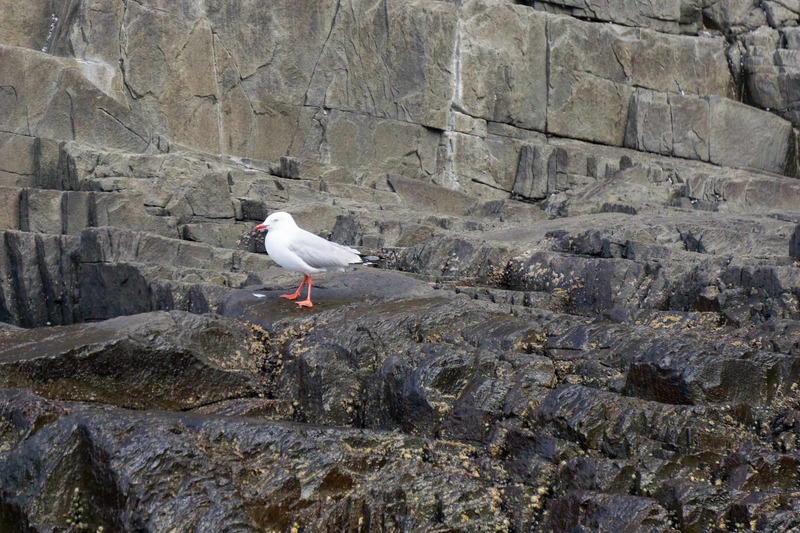 Bird life is plentiful; on our way down the coast we passed a number of spots that seemed to be favoured by seagulls, cormorants, shearwaters, and other birds. In the image below, nobody was home but signs of their presence was evident! 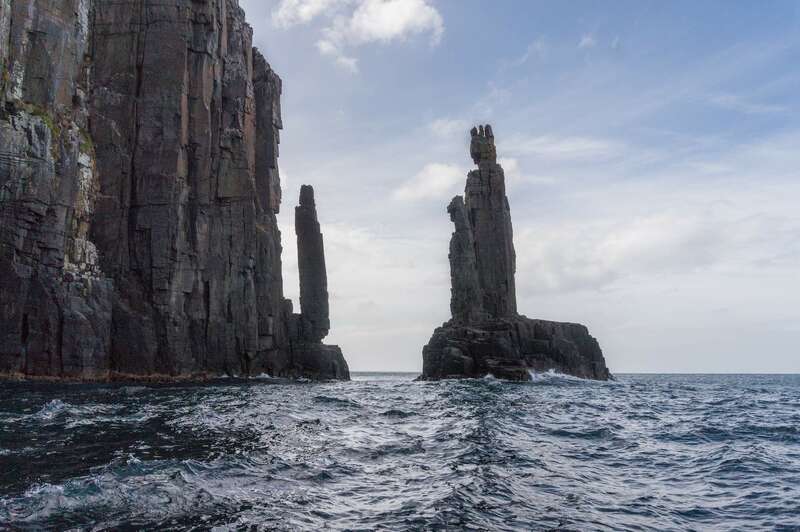 We passed by the dramatic dolerite columns below and stopped for a photo-op, the boat circling around slowly to give passengers on both sides of the boat a chance to get a shot or two. At times the spray from the waves was such that we got lightly showered; my cameras were tucked safely away under my red overcoat. 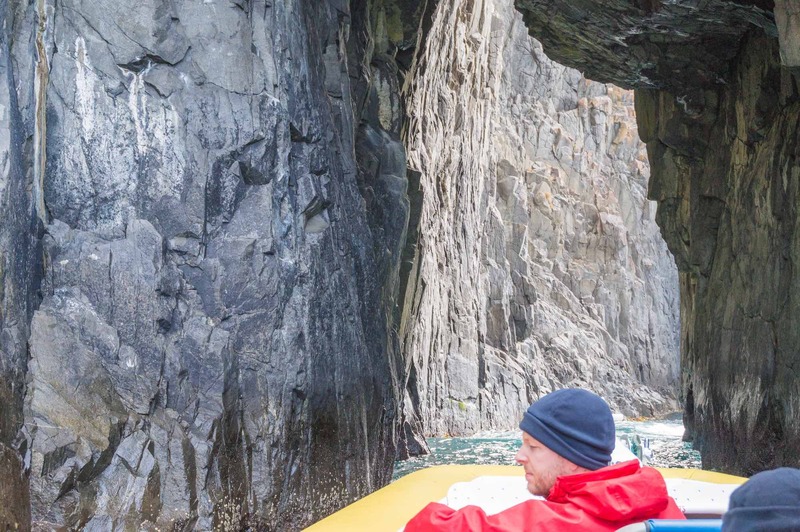 Occasional stops for various geological features like blowholes or the columns above were moments when the cameras came out we all snapped madly away. My Sony Nex-3N had a 16-50 mm zoom on it, while my Sony A6000 had the 55-210 mm. All of the above shots were taken with the more wide-angle zoom. I was also hoping to get some shots with my telephoto. 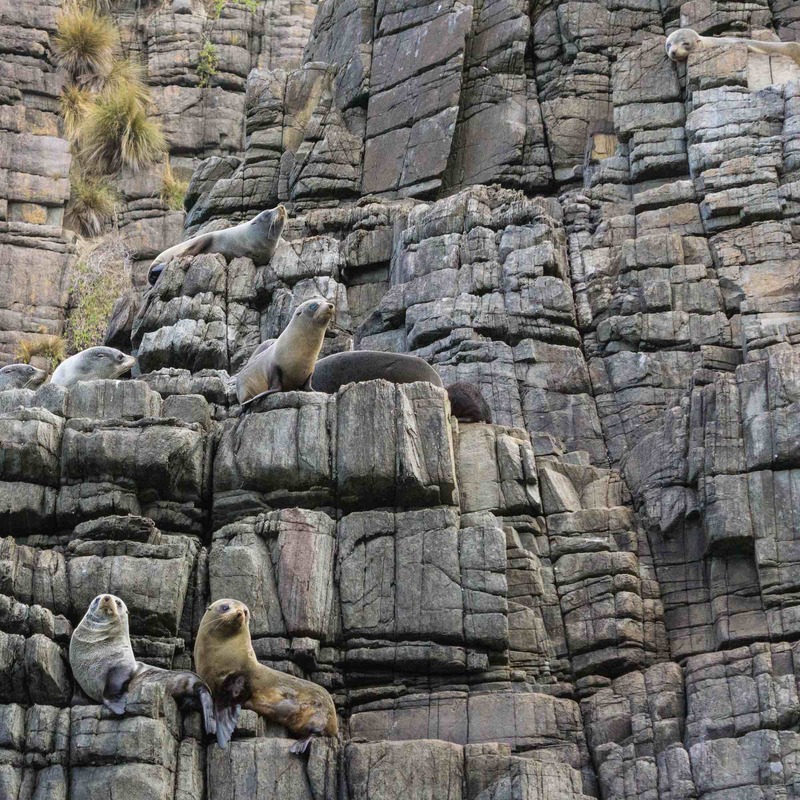 A couple of year ago I visited a penguin colony and a sea-lion colony in the Strait of Magellan not far from Punta Arenas at the bottom of South America. 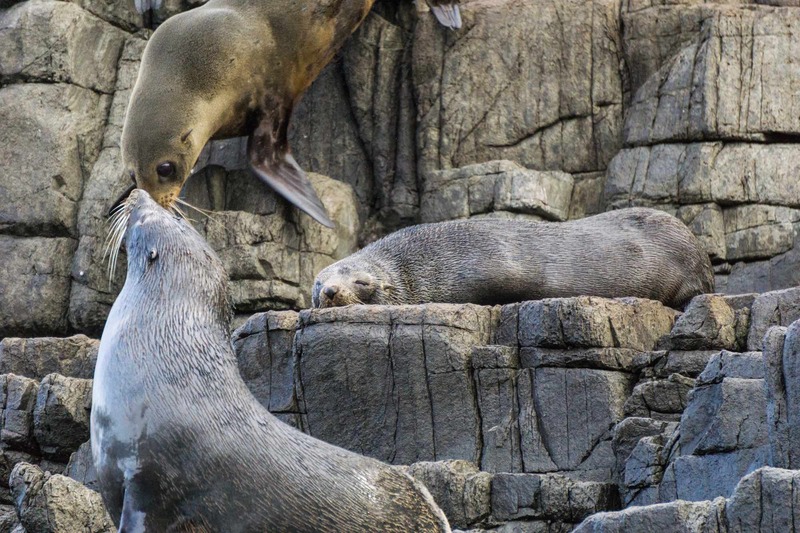 While we did get to walk among the penguins and it was easy to get close-up shots, I was later frustrated with the limitations of my lens when we passed by Marta Island and the sea lions. The 16-80 mm lens on my dslr just didn’t zoom in close enough. I was later reduced to cropping the images in my Adobe Lightroom app to make them seem more immediate. As the following image on shows, it still was not close enough! 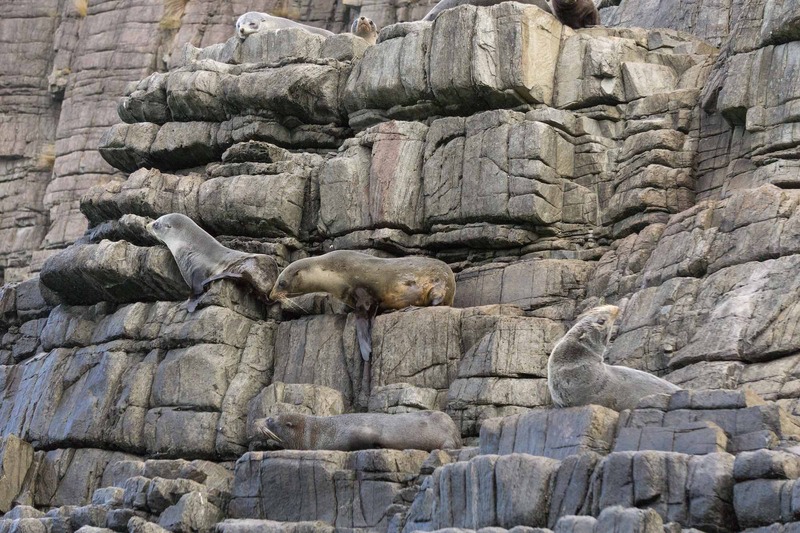 Where in the world is Waldo the Australian Fur Seal? 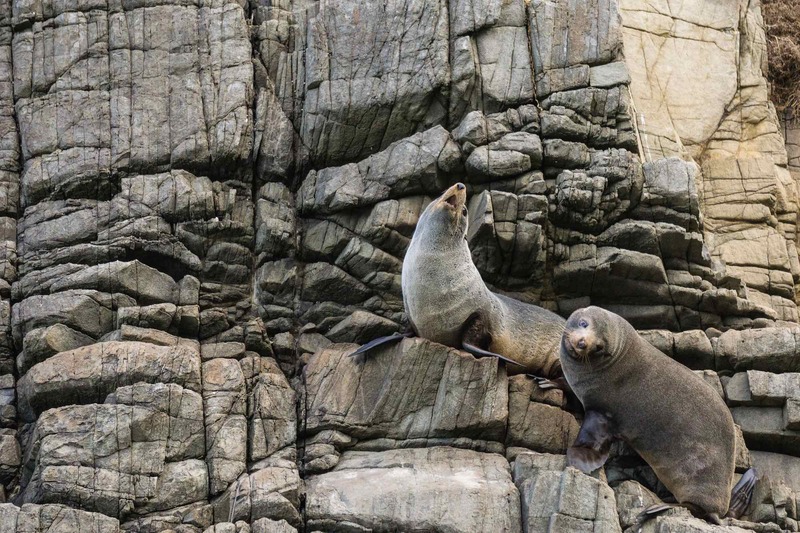 We would spend some fifteen minutes or so with these fur seals, stopping in front of a couple of different terrace rock outcrops where they were lounging in various states of alertness. 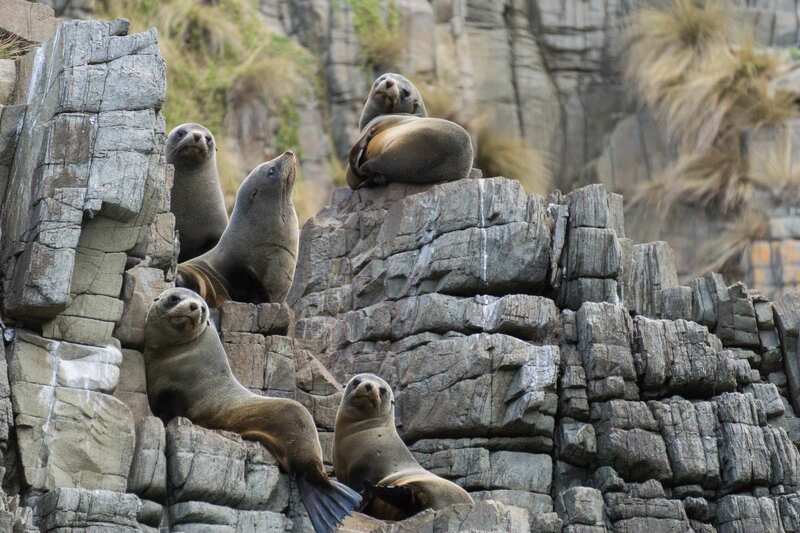 I later learned that the fur seals we were looking at belonged to the Australian Fur Seal species, one of seven in the Arctocephalus genus which are found mostly in the southern hemisphere. 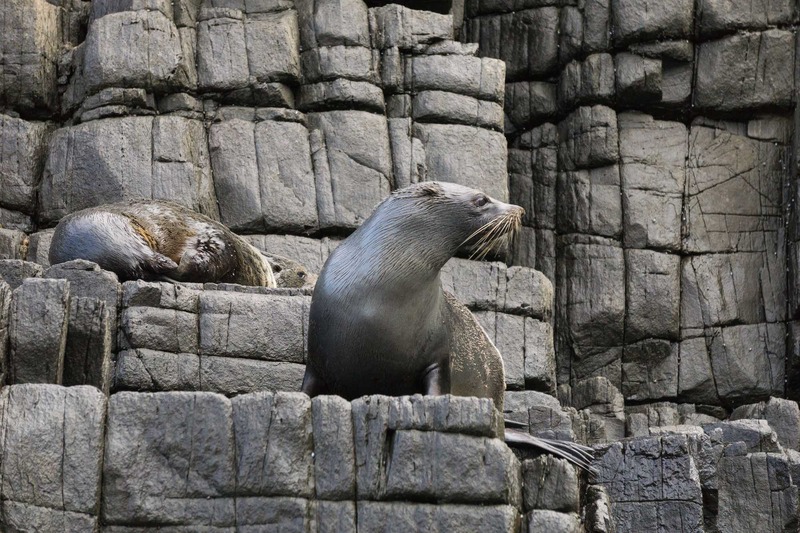 They did look different for the true seals – for example, the harp seals and grey seals of the waters off the coast of Newfoundland – that I am familiar with. 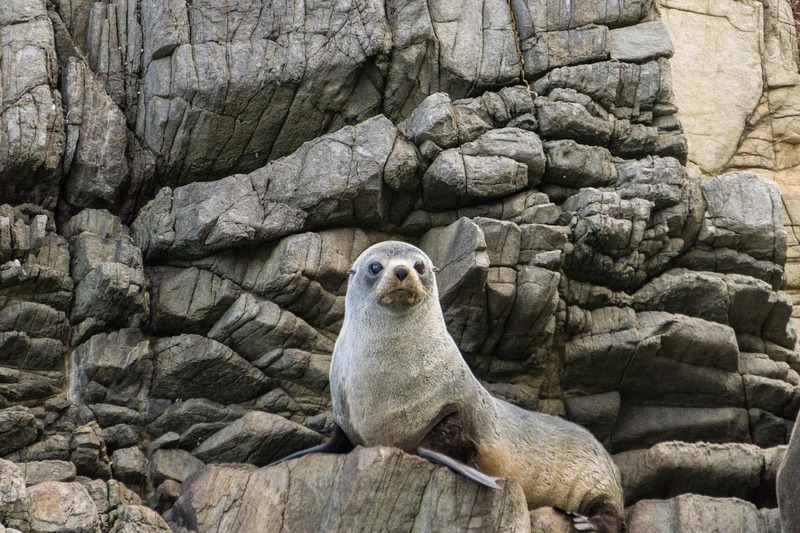 Like the Canadian seal the Australian seal (Arctocephalus Pusillus) was once the focus of a thriving seal hunt. 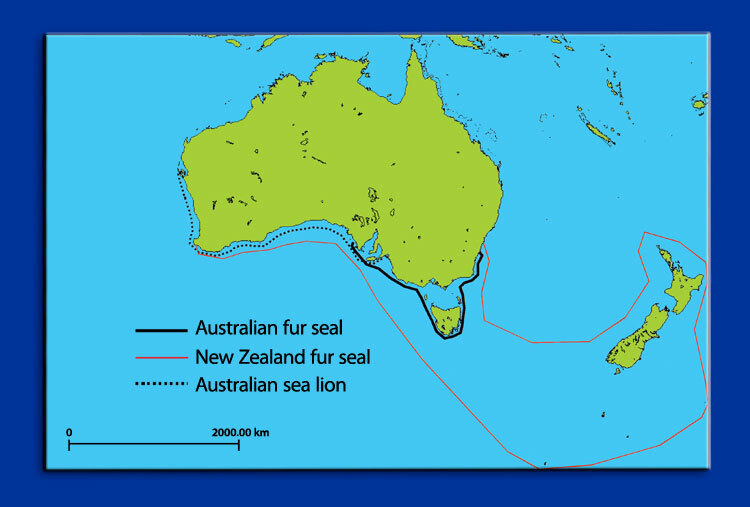 As the map indicates, there is another species of Arctocephalus – the New Zealand or forsteri – found in Tasmanian waters. I am assuming that the ones we saw that day were the more common Australian ones. 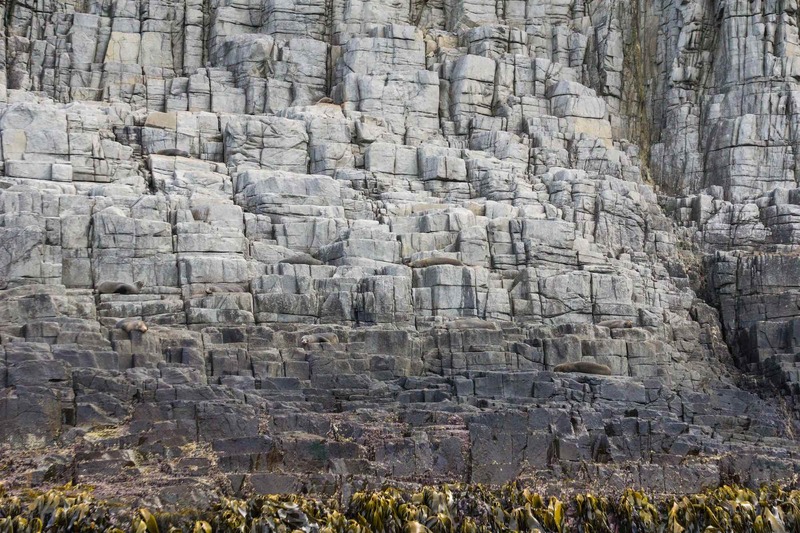 Let me know if you can spot any of the forsteri species on the rocks. Leaving The Friars, we headed back for Adventure Bay, moving a bit faster than on our way down. 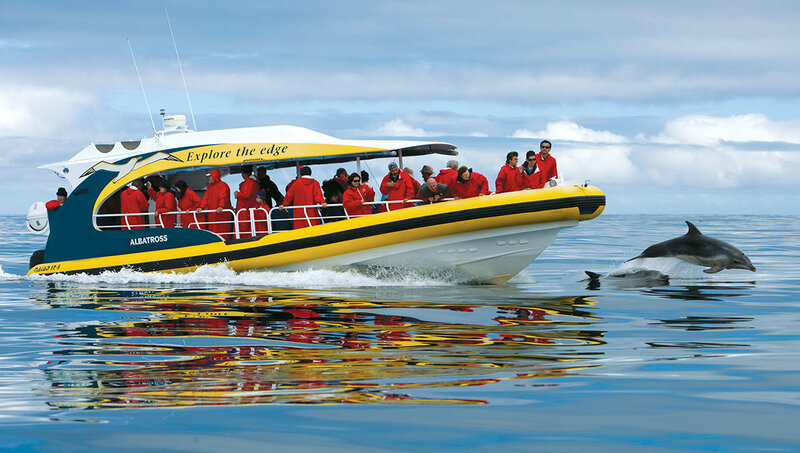 To make the trip complete we would encounter a few dolphins as they swam along the boat or in the boat’s wake. Given the wind and the rocking motion of the boat, I did not bother pulling my camera out from underneath the raincoat to attempt a shot. As it was, the dolphins tended to pop up unexpectedly and disappear just as quickly. It was a thrill just to see them without worrying about capturing the moment! Shortly after four we were back on shore. The consensus of the people I spoke to – while a sunnier and calmer day would have been nice, it was definitely a worthwhile experience that we were happy to have signed up for! 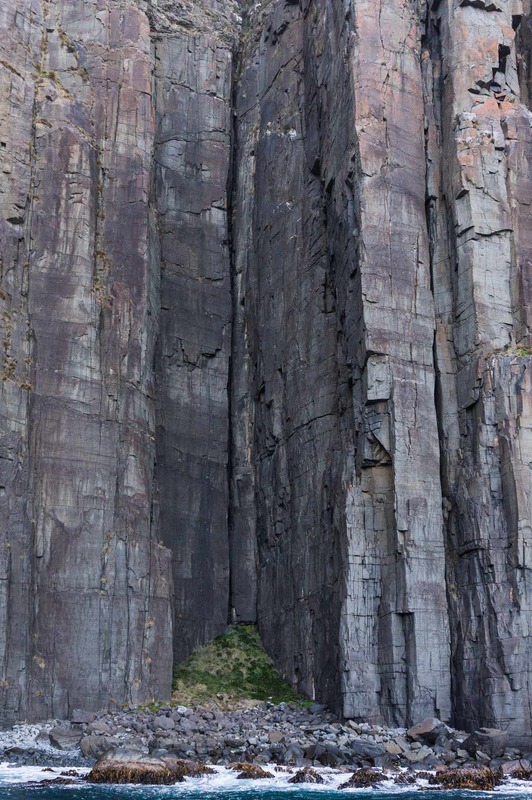 This entry was posted in Tasmania. Bookmark the permalink.